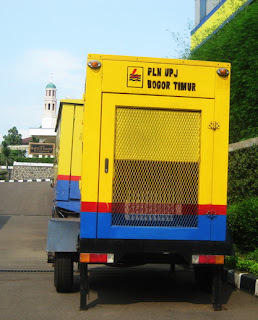 Here, we call it a genset car. I saw it on the parking area of a government electricity company. In past two weeks, I came to this office several times to meet HRD staffs there; to take care of some letters to my father’s interest. 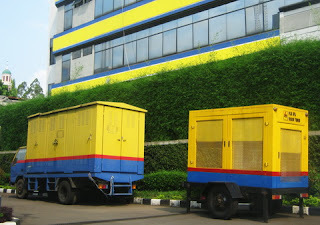 That's PLN genset car, isn't it? Haven't seen one around here Lina. Hi I just added your lin. Can you do the same for me. Thanks so much. I really appreciate your time. The trucks got nice color, looks like Transformers.